Brother’s MFC-L8900CDW laser is aimed at work-groups of up to five users – and even if they all have different needs, its versatility, speed and output quality should satisfy everyone. 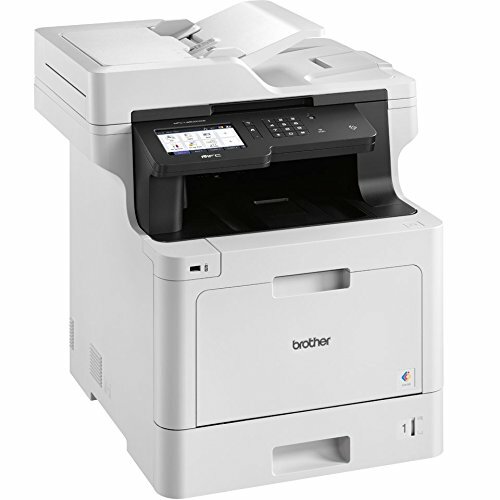 It’s well connected too, as it supports USB, Gigabit Ethernet, 802.1m wireless, Wi-Fi Direct, AirPrint and NFC for tap-to- print services. 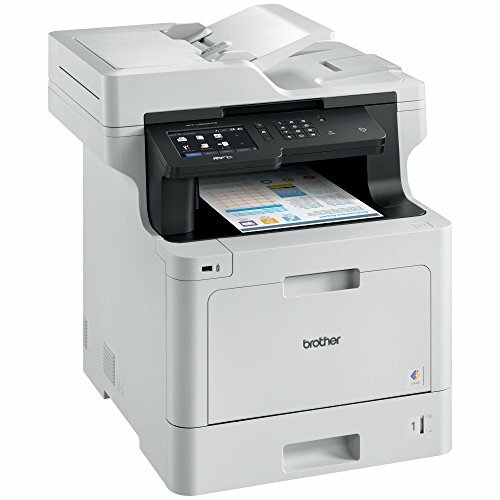 Scan, copy and fax functions are easy to use, thanks to a big 12.6cm color touchscreen with clear icons. You can also customize the display by adding up to four extra screens, each offering eight shortcuts to predefined copy, scan or fax jobs. The standard 250-sheet paper capacity will be fine for light printing duties, but if you need more it can be hugely expanded with an optional tower-style base unit that adds four 520-sheet cassettes. And although there are lots of consumables, running costs are reasonable. Once the supplied starter cartridges are exhausted, the super-high-yield versions work out to just 1.3P per mono page and 9.4P for color. 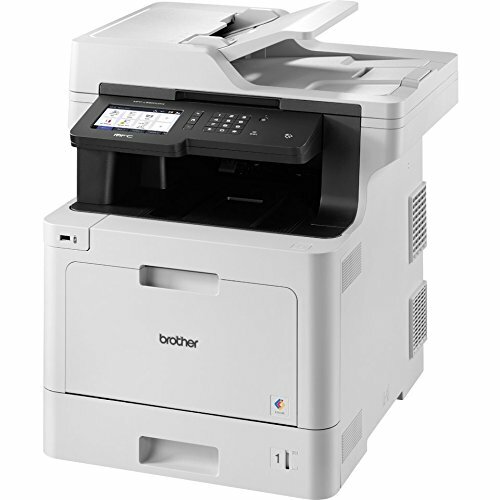 Brother’s software package comprises a status monitor that lives in your system tray, a TWAIN driver, Brother’s Control Center 4 (CC4) network scan and print utility plus Nuance’s PaperPort SE 14 OCR and document-management software. Installation is a piece of cake: the software installer immediately discovered the MFP on our network and loaded the driver and applications Windows 10 desktops. It’s a decent driver too, allowing you to assign a security PIN to confidential jobs so they can only be released by entering the code at the printer. For more fine-grained access security, Brother’s Secure Function Lock 3 can be used to restrict public access, create lists of local users and dish out privileges. You can also set up function profiles, which allow or deny access to print, copy and scan operations, set page limits, restrict color printing and much more. The printer uses the logged-in user name at a PC to enforce security; our only gripe is that the driver doesn’t make it clear when a feature has been blocked by a security profile, which could lead to some confused support calls. Cloud support is extensive, and easy to set up using Brother’s Web Connect portal. Simply choose from the eight supported providers, tap in your account details and enter the unique 11-digit code at the printer’s panel. The CC4 app also lets you operate the scanner, so documents can be pulled in and converted to images, Office files or searchable PDFs. Alternatively, you can do it the other way, pushing scans from the MFP to any PC with CC4 installed. 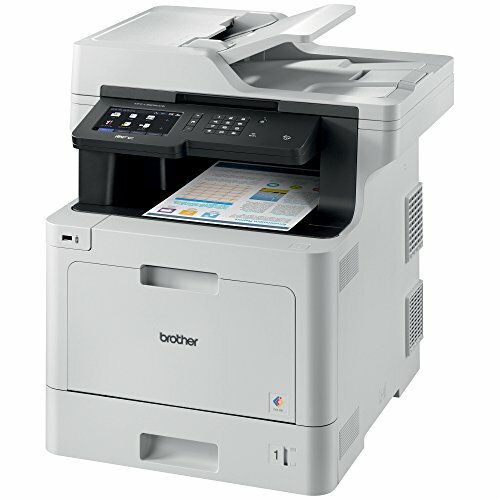 The MFC-L8900CDW delivers good overall performance: our 31-page mono Word document was printed promptly in 60 seconds at both 600 dpi and 2,400dpi x 600 dpi interpolated resolutions. Color printing is slightly slower: our 24-page color DTP test document took 62 seconds at both resolutions, but the time to first page was never more than 10 seconds. For double-sided printing there’s an integrated duplexer, but this halves the print speed, with a double-sided print of our Word test document averaging 15.5ppm. Copy operations using the scanner’s ADF were slightly faster with a ten-page single-sided copy coming out at 18ppm. Output quality is great. Black text is pin-sharp, even on cheap 75gsm recycled paper. Mono photos also have plenty of detail; shaded areas at 600dpi had a slight cyan tinge, but this disappeared at 2,400dpi. Color photos are equally detailed, with good contrast and bright colors with almost no banding in large single-color blocks. The scanner also gave good results with photos and glossy magazine covers, capturing plenty of detail and giving faithful color rendition. 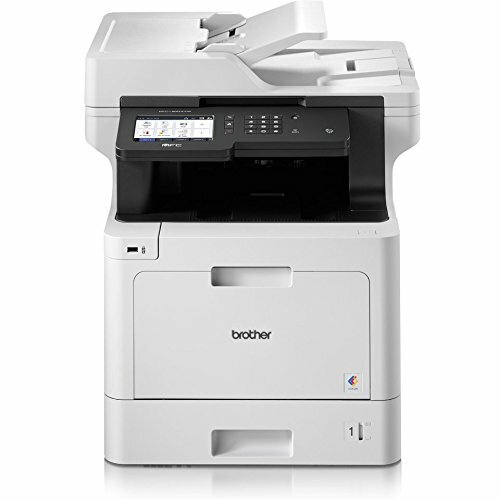 There’s a lot to like about Brother’s MFC-L8900CDW. 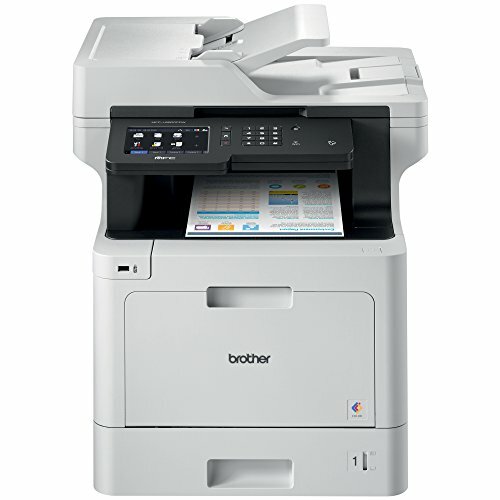 It’s a highly versatile MFP that we found very easy to use. It isn’t the cheapest but it combines good speed and output quality with reasonable running costs, and provides a great set of access security and cloud features. Upon activation, the Amazon Dash Replenishment service measures the toner level and automatically orders ink from Amazon when low. This ensures that you never run out again.